Our mission is to train educators and parents on mindfulness practices so that they can feel confident in teaching and being the guide through this journey with the children in their lives. By teaching children the simple yet profound tools of mindfulness and social-emotional skills we are empowering them to be the future leaders of the world that lead with heart. The Mindful Words Challenge® book is a coaching program that assists preschool and elementary schools as well as parents to accomplish just that. Inspired by Goldie Hawn's MindUP™ curriculum, we have created a way for children to practice mindful awareness and social-emotional learning in an educationally fun and creative way. We utilize storytelling, mindful moments, brain science, affirmations, and word memorization in this unique coaching program. Partnering with The GOODWords® Dictionary, who believes that effective learning of a concept begins with truly understanding the vocabulary involved. Conversations, lessons and stories about a concept can take root instead of going over a child's head when they understand the words being used. These stories and practices help educators and parents to create a customized learning journey centered around mindful vocabulary. We utilize methods such as simplified definitions to memorize, stories to assist in better understanding, a journal to help identify their ability to use the words in everyday situations, affirmations to help them believe their potential and a sketch page to show how they visualize each word. Children at preschool-elementary ages learn thousands of new words each year. Why not make sure that includes some of the most mindful words on the planet? 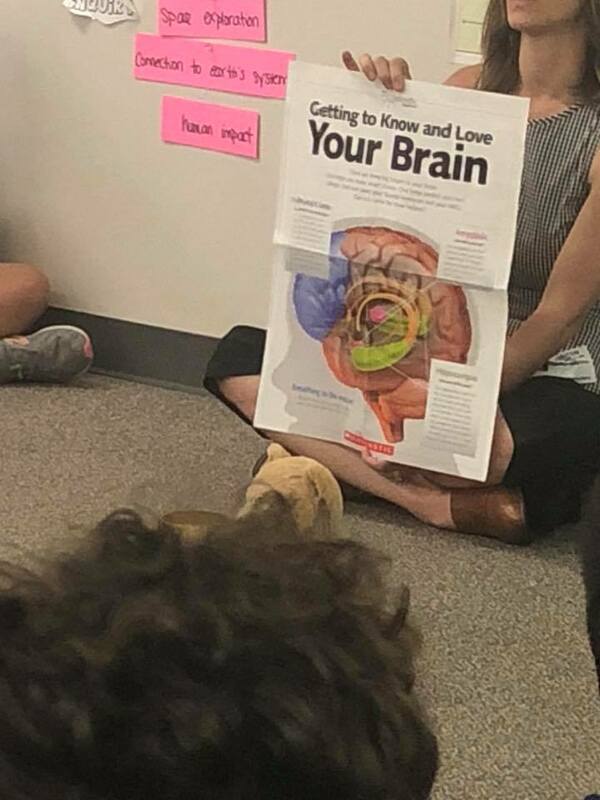 This program also teaches children and the adults in their lives about the different parts of their brains by the characters in the stories. In each story, the dragon represents the amygdala, the wise owl represents the prefrontal cortex, and the seahorse represents the hippocampus. In the setting of The Mindful Forest and The Ocean of Emotions children walk through an interactive story journey that teaches them that their brain is the boss of their body, but they are the boss of their brains! ATTENTION, AWARENESS, PRACTICE, OBSERVE, OPTIMISM, GRATITUDE, APPRECIATION, ATTITUDE, SENSATION, CONFIDENCE, BALANCE, PERSPECTIVE, GRATITUDE, KINDNESS, and CONNECTION are the vocabulary words that the children learn throughout this mindfulness program. This is a journey of the heart and mind, created from the heart by two Unscripted women on the foundation of scientific research on children's emotional, physical, and mental health. The Mindful Words Challenge® helps children to embody their full potential, learn responsibility and accountability while fostering community connection and empowering mindful action in the world. *As a bonus, the challenge can also acts as a fundraiser for schools or for the family to empower children to find a charity and donate to, allowing children to participate in how their own practice has a butterfly effect and can be of benefit to many. Family and friends of each child can make a monetary pledge for each word the child learns. We sincerely hope you join us to help empower our children to take mindful action in the world and become the leaders we know they can be. Unscripted Heart is on a mission to bring the simple, yet profound tools of mindfulness into the hearts and lives of children, schools, and families one breath at a time, encouraging people to live unscripted and be the author of their own lives. Enjoy a mindful moment and Brain Train with us. Mindful classrooms begin with mindful teachers. Mindful homes begin with mindful parents. Contact us for classes and trainings.